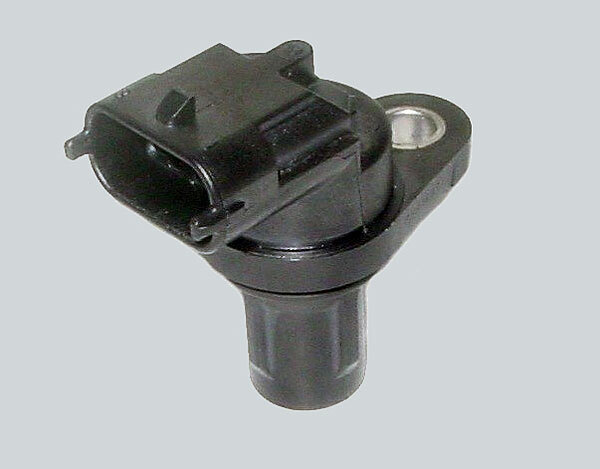 The crankshaft sensor measures the engine speed. It consists of a permanent magnet and an induction coil with a magnetic iron core. A gear ring attached to the flywheel and agitates the inductive pulse sensor. Between inductive sensor and gear ring is only a small air gap to induce the magnetic induction. The magnetic flow through the coil depends on whether a gap or a tooth is facing the sensor. A tooth increases the magnet flux variation and a gap weakens the magnetic flux variation. When the flywheel and therefore the gear ring turns, the magnet field is changed by every single tooth passing by. The alteration of the magnet field generates an induction voltage within the coil and an analog output signal. The speed of the flywheel is measured by the amount of impulses per time unit. Usually one tooth of the gear ring is missing and the engine control unit knows the momentary position of the crankshaft via this extra gap in the gear ring. The engine speed is a major control parameter for the calculation of the air-fuel-mixture and the ignition advance timing. Camshaft sensors transfer the position of the intake and exhaust camshaft in relation to the crankshaft as electrical signal to the control unit in order to optimize the cylinder filling efficiency. Camshaft sensors operate either according to the principle of an inductive sensor in the same way as the crankshaft sensor or as a Hall Effect sensor with a small electronic magnetic chip inside the sensor and a digital output signal. It scans the gear ring which is part of the camshaft. The Hall frequency changes by the rotation of the gear ring. 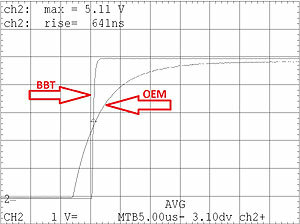 The Hall voltage of the Hall-IC in the sensor remains constant over the RPM range. This changing frequency is then analysed in the control unit in order to determine the necessary data. 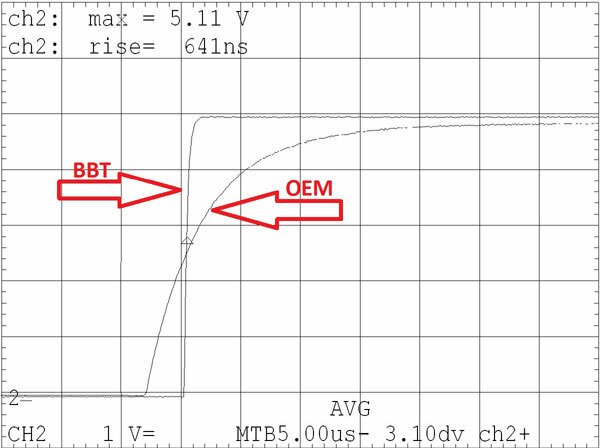 the comparison shows that the BBT rise time is faster as the OEM signal, this feature of the BBT sensor causes for a faster and more accurate signal transfer from the sensor to the ECU.